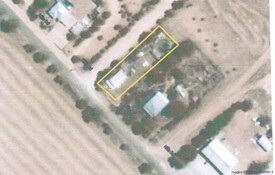 2 Commercial Real Estate and Properties in Sa Country West are listed in 2 categories. We have 1 Retail Shops for Sale & Lease and 1 Offices for Sale & Lease . Here is a unique opportunity to purchase a well established meat processing and retail business that is iconic in both the Streaky Bay and Ceduna regions. You will buying not one, but two freehold locations plus a retail shopfront lease right on the west coast of the beautiful Eyre Peninsula. This business will provide a new owner with a brilliant return on investment. Have you considered a sea change because the “rat race” is destroying your quality of life? The Eyre Peninsula is home to some of the most stunning coastal areas of Australia. It easily compares to the beaches and vista of Queensland and other more well known regions Here is a long established, very profitable business that can be run by a new owner/ operator or can be run under management for a great ROI. Streaky Bay Meat Service / Ceduna Meat service has been operation for over 35 years and has shopfront locations in both Streaky Bay & Ceduna. As well as these two shopfront locations, Streaky Bay Meat Service has the added benefit of having its very own slaughter house/abattoir and processing plant, right here in Streaky Bay. Streaky Bay Meat Service is the main supplier of meat, poultry and smallgoods to the local area. They supply numerous hotels, sporting complexes, restaurants and cafes plus other local businesses (spanning up to a 120km radius), tourists and of course locals. Streaky Bay Meat Service has achieved numerous awards and recognition for is outstanding produce over the past three and a half decades. The business is being offered for sale in its entirety including: Streaky Bay shopfront Streaky Bay Slaughterhouse and processing plant Ceduna Meat Service (Main street shopfront Leasehold) Improvements include: Streaky Bay Meat Service 55 Wells Street Streaky Bay SA. Shopfront and Freehold Land comprised of 2039m2, Including all plant & equipment, improvements and 40KW solar system. Slaughterhouse/Abattoir Sections 71, 72 & 73 Simounds Rd Streaky Bay SA Freehold Land comprised of 60acres (approx), including all plant & equipment, improvements and 40KW solar system. Ceduna Meat Service 35 Poynton Street Ceduna SA Leasehold. Main street shopfront location including all plant and equipment. For a comprehensive business profile including all plant and equipment, business figures, tile information, leases and Form 2 or to book an inspection contact Chad Kirby on the number above today.